The extent to which ecological properties of restored coastal wetlands in the northern Gulf of Mexico recover to natural wetland conditions has not been synthesized. We conducted a systematic literature review and meta-analysis to evaluate whether vegetation and soil parameters at marsh sites restored through sediment addition recovered to levels found at paired reference sites. From 1342 candidate publications, we identified 25 studies (< 1 to > 30 years since initial restoration) suitable for quantitative meta-analysis. Vegetation cover was 50% lower at restored sites compared to reference sites over the first 5 years of restoration while aboveground biomass was 25% higher. On average, belowground parameters (root biomass and soil organic matter) were 44 to 92% lower at restored sites during the first 15 years of restoration compared to reference sites. Mean recovery trajectories for belowground biomass and productivity, vegetation cover, and soil parameters indicated that mean values for restored sites reached reference site conditions within 30 years following restoration. We also evaluated recovery curves for the 20th percentile of site data, which we suggest provides a valuable perspective for natural resource agencies to consider when evaluating individual projects, as it should ensure higher success rates compared with using mean recovery rates to estimate success. Understanding marsh recovery rates following restoration helps future restoration design and monitoring, but recovery rates vary across measurement endpoints. Deciding on the appropriate response(s) to use as the basis of performance measures and monitoring will influence the apparent success of marsh restoration projects. The online version of this article ( https://doi.org/10.1007/s12237-019-00536-y) contains supplementary material, which is available to authorized users. The authors would like to thank Anthony Berenguel, Ronald Hall, Timothy Meernik, Sue Visser, Andrew McFadden, Ian Lipton, Justin Stein, Matthew Rissing, Russell Jones, and Sarah Moody for their help gathering, compiling, and quality checking data for the analysis. We also thank Joshua Lipton and Mary Christman for providing technical insights and support. The authors gratefully acknowledge the technical input of the following individuals: Hal Fravel of Research Planning, Inc.; Tom Minello, John Kern, Natalie McLenaghan, Melissa Carle, and Mel Landry of NOAA; Charles Sasser of Louisiana State University; Mark Hester and Jonathan Willis of the University of Louisiana at Lafayette; Gail Fricano of Industrial Economics; and Sean Powers of the University of South Alabama. Finally, the authors wish to acknowledge and thank all the field teams and researchers who collected, analyzed, and published the original data that are synthesized in this meta-analysis. We thank as well the funders of the original research efforts. Without the investment of resources into primary field research, synthesis efforts like this paper would be impossible. We encourage and support the ongoing investment of resources into developing consistent protocols and collecting primary field data on restoration efforts. This research was funded by contracts from the State of Louisiana and the National Oceanographic and Atmospheric Administration (NOAA) to Abt Associates (and its predecessor company, Stratus Consulting) for work associated with the Deepwater Horizon oil spill Natural Resource Damage Assessment (NRDA). Views expressed in this paper are those of the authors and are consistent with the view of NOAA as a funding entity for this work. They do not necessarily represent the view of the State of Louisiana or the other natural resource Trustees for the BP/Deepwater Horizon NRDA. CPRA. 2012. Louisiana’s comprehensive master plan for a sustainable coast. Coastal Protection & Restoration Authority. Prepared for the State of Louisiana. https://issuu.com/coastalmasterplan/docs/coastal_master_plan-v2/1?e=3722998/2447530. Accessed 28 Mar 2016. Investintech.com. 2014. Able2Extract Professional 9. Copyright 2000–2017. Investintech.com Inc. https://www.investintech.com/products/desktop/. Accessed 10 Oct 2018. Koenker, R. 2016. quantreg: Quantile regression. R package version 5.21. https://CRAN.R-project.org/package=quantreg. Accessed 10 Oct 2018. Lipton, J., K. LeJeune, J. Calewaert, and E. Ozedemiroglu. 2008. REMEDE toolkit for performing resource equivalency analysis to assess and scale environmental damage in the European Union. Produced by the REMEDE Team (www.envliability.eu) for the European Commission. http://www.envliability.eu. Accessed 10 Oct 2018. NOAA. 2016. Habitat Equivalency Analysis. National Oceanic and Atmospheric Administration. Coastal Ecosystem Restoration. https://coast.noaa.gov/archived/coastal/economics/habitatequ.htm. Accessed 31 Mar 2016. PRISMA. 2016. Transparent reporting of systematic reviews and meta-analyses. Preferred Reporting Items for Systematic Reviews and Meta-Analyses. http://prisma-statement.org/. Accessed 25 Mar 2016. Roy, K. 2006. Wetland value assessment methodology procedural manual. Coastal Wetlands Planning, Protection and Restoration Act. http://lacoast.gov/reports/wva/WVA%20Procedural%20Manual.pdf. Accessed 31 Mar 2016. Stelk, M., J. Christie, R. Weber, R.R.I. Lewis, J. Zedler, M. Micacchion, T. Harcarik, L. Cowan, N. Famous, and J. Teal. 2015. Wetland restoration: Contemporary issues & lessons learned. Draft V.1.11.16. Windham, Maine: Association of State Wetland Managers. http://www.aswm.org/pdf_lib/wetland_restoration_whitepaper_041415.pdf. Accessed 20 Mar 2016. Stout, J.P. 1984. 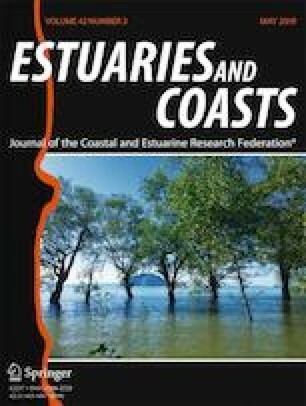 The ecology of irregularly flooded salt marshes of the north-eastern Gulf of Mexico: A community profile. U.S. Fish and Wildlife Service. Biological Reports. 85(7.1). http://www.nwrc.usgs.gov/techrpt/85-7-1.pdf. Accessed 31 Mar 2016. Tummers, B. 2006. DataThief III. Available: http://download.cnet.com/DataThief/3000-2053_4-80439.html. Accessed 21 Mar 2016. USACE. 2008. Regulatory guidance letter: Minimum monitoring requirements for compensatory mitigation projects involving the restoration, establishment, and/or enhancement of aquatic resources. U.S. Army Corps of Engineers http://www.usace.army.mil/Portals/2/docs/civilworks/RGLS/rgl08_03.pdf. Accessed 20 Mar 2016.